In doing the research for each of the fonts in the Font Feature, I came across a font that I had to include as a little extra, because it is just that cool. I love manuscript hands, old typefaces and other such historic methods of representing text. So when I find modern fonts that attempt to recreate the older forms, I get pretty excited. This particular font from Canada Type has such a unique concept that it has quickly become one of my favorite fonts just on an intellectual basis. Tupelo merges the handwritings of Elvis Presley and Abraham Lincoln. What do those two men have in common? According to research that the font’s designer, calligrapher Philip Bouwsma, conducted, Elvis and Lincoln learned the same style of handwriting when they were kids. 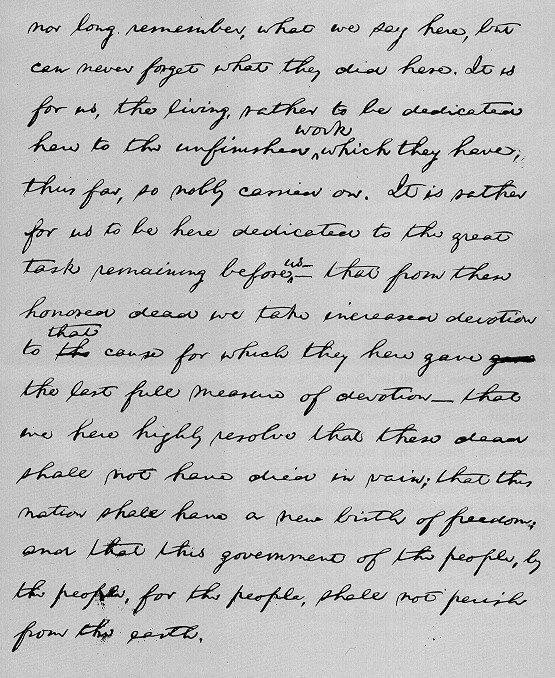 On top is Lincoln’s Gettysburg Address and on the bottom is Elvis’ letter to Richard Nixon. In Tupelo I see a bit more of Lincoln’s refined script but Elvis’ letter slant and flourishes (especially the tail of the ‘y’). Just the fact that Bouwsma had the idea to combine the hands of these two men makes Tupelo unique and interesting. But I could also see this being a useful font as it is nicely spaced and not overly ornamented script. I hope you enjoyed seeing and learning a bit about the various fonts this week as much as I enjoyed researching them!